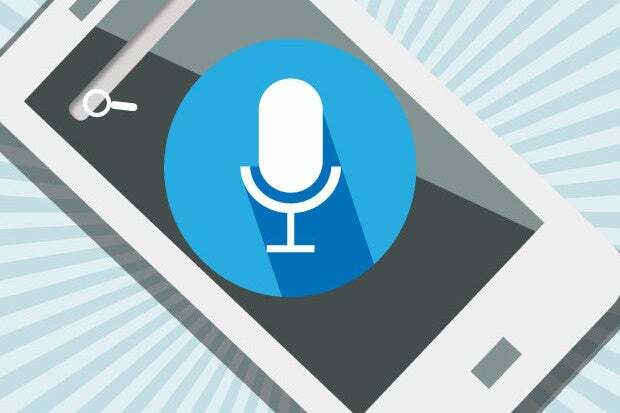 Mobile and voice search are shaping the future of SEO, and Google is putting new emphasis on 'direct answers' to queries. Here's what digital marketers, content creators and SEO experts need to know about these key changes. The art and science of search engine optimization (SEO) changed dramatically in recent years, thanks in no small part to big Google algorithm tweaks, including the recent mobile friendly update. Just as important as mobile, however, is voice. Professionals who practice SEO must prepare for a future in which queries come from voice input on mobile devices, and where Google, to satisfy those voice (and text) queries, will increasingly highlight "direct answers." Google (and to a lesser extent, Bing) searches yield direct answer results, also known as "rich answers," in response to specific user questions, instead of delivering an assortment of links to other websites. 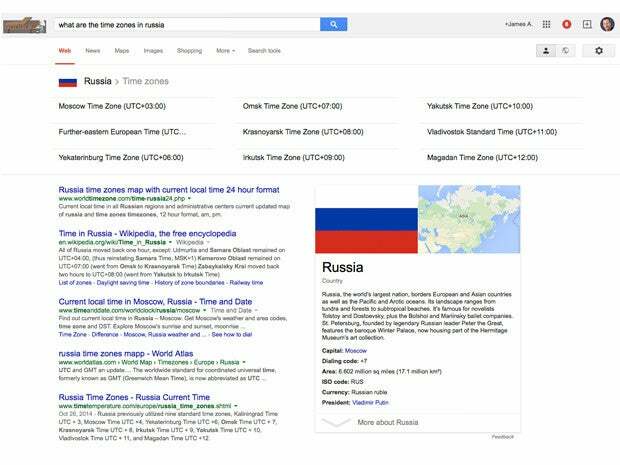 For instance, if you ask, "What are the time zones in Russia," Google displays a table of the country's time zones atop related search results. In many cases, direct answers fulfill queries and eliminate the need to click links to get answers. "We used to show just ten blue links in our (search) results. You had to click through to different websites to get your answers, which took time. Now we are increasingly able to provide direct answers — even if you're speaking your question using Voice Search — which makes it quicker, easier and more natural to find what you're looking for." Of course, the rise of voice search and direct answers have ramifications for websites and SEO practices, including the need to add more structured data to sites and provide clear answers to specific questions early in online content. Here's what digital marketers, content creators and SEO experts need to know about voice search, direct answers, and their effects on modern SEO. Before Apple integrated Siri into the iPhone 4s in October 2011, voice search was practically nonexistent. However, the game changed, and Siri is now built into all new iPhones, iPads, iPod touch media players and the Apple Watch. Google Now, Google's voice-search technology, debuted in June 2012 as part of Android 4.1 "Jelly Bean." Microsoft's Cortana virtual assistant, demonstrated for the first time in April 2014, is now built into Windows Phone 8.1, and it will be part of the upcoming Windows 10 OS that's due this summer. As of last fall, 41 percent of adults and 55 percent of teens used Siri, Google Now or Cortana voice search at least once per day, according to a Northstar Research study that was commissioned by Google. The accuracy of speech-recognition tech improved markedly in recent years, which is helping to increase the overall volume of voice searches. As of April, Google had an error rate of 8 percent compared to about 25 percent a few years ago, according to USA Today. The accuracy increase is largely related to faster processing power, along with enhancements in machine learning and natural language processing. In a recent evaluation of more than 850,000 search queries, Google served up some form of direct answer 19.5 percent of the time, according to Eric Enge, CEO of Stone Temple Consulting, the company that conducted the test. Two years ago, Google wouldn't have delivered any direct answers, Enge said at the Search Marketing Expo (SMX) West conference in March, where he presented the company's findings. A year ago, Google users would have received direct answers about 4 percent of the time, according to Enge. In comparison, Microsoft's Bing search engine currently delivers direct answers just 1.1 percent of the time. Google presents direct answers in various ways, according to Enge. In some cases, the search engine provides tabbed results. For example, queries related to movie showtimes or menus could receive tabbed results. And Google could provide answers within tables when a user asks, "Which teams played in the 2014 World Series?" Google also uses lists, Wikipedia entries, charts, forms, and carousels in its direct answers.